We spend about 90% of our life indoors, where we are exposed to chemicals from a variety of sources. These exposures can have effects on our health and well-being. Among the many sources of pollution in indoor environments are human beings themselves. Emissions via breath and skin represent mobile, potent, chemically diverse and highly variable sources of reactive chemicals in indoor spaces. The project ICHEAR aims to comprehensively characterize the chemical impact of human beings, the single common element in all living spaces. 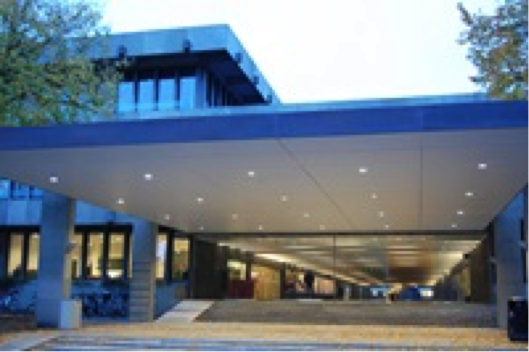 In the future, with increased use of low-polluting building materials and furnishings, and construction of energy efficient airtight buildings, emissions from humans are likely to grow in importance. Global trends suggest that by 2050 some 70% of people will live in urban areas, and therefore likely in smaller, climate controlled living spaces. We can then choose to live in cool conditions with more clothing or in warm conditions with less. Depending on the local climate, these conditions can be dry or moist. Changes in human emission profiles related to these conditions will impact our indoor air quality, as will room ventilation with outside air containing ozone, which reacts on human skin. 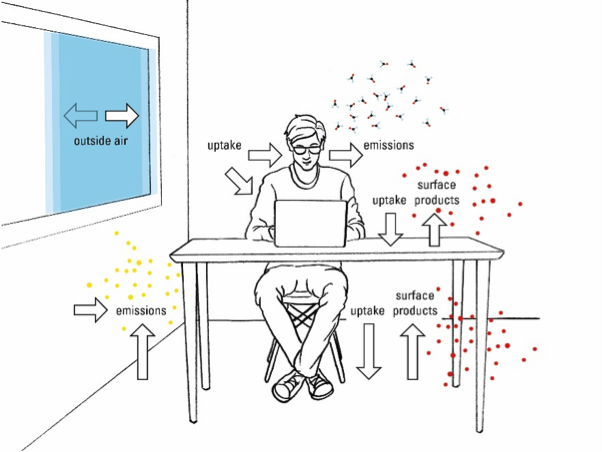 How humans chemically impact the indoor living space will be investigated in the project ICHEAR. The intensive measurement phase of this project will take place in Copenhagen Denmark. Twin stainless steel climate chambers located at the Technical University of Denmark (DTU) will be used to measure emissions from people under varying temperatures (21-27°C), humidities (30-70%), ozone levels (0-30 ppb) and clothing scenarios (fully covered skin and partially bare skin). In some experiments, the exhaled and skin emissions will be measured separately, using twin chambers and breathing helmets. The project represents a new pioneering collaboration between chemists and building engineers, involving high-end analytical systems from the Max Planck Institute for Chemistry (MPI-C) and IVL Swedish Environmental Institute (IVL), and the state of the art climate chambers at the Technical University of Denmark (DTU). We will measure a suite of volatile organic compounds using online mass spectrometry (PTR-ToF-MS) and fast GC-MS. In addition we will measure total OH reactivity in order to assess whether all major components of human emissions have been characterized. Measurements of CO2 will be made along with CO, CH4 and H2O using a Picarro system. Nitrogen oxide measurements will be made in all experiments. Highly resolved measurements of gas phase organic species present on skin (wipes) and in clothing will be determined by the Swedish Environmental Institute (IVL) using GC-MS.
Are we measuring all of the important species indoors from human beings? We will address this by making VOC and NOx measurements in parallel with total OH reactivity. This will be assessed in breath and skin emissions. How do changes in temperature and humidity affect human emissions and subsequent indoor air chemistry? How does the clothing worn affect human emissions and subsequent indoor air chemistry? 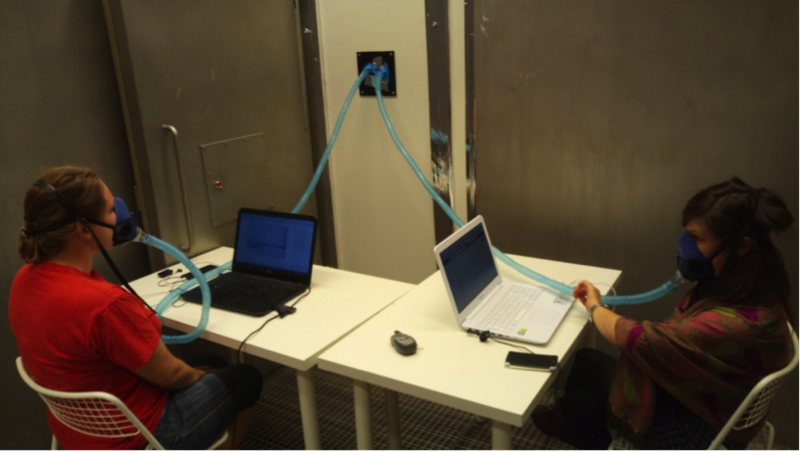 How does ozone exposure affect indoor air chemistry?